Could there be a genetic link to AMD? We are studying patients with AMD to determine if their genetics play a role in developing the disease. Blood samples are taken from the patient to use for isolating their DNA, and extracting specific genes, to better understand if there are underlying reasons for AMD. Patients, and their families, undergo a complete genetic analysis to aide scientists in genetic mutation research, allowing for the identification of families with increased risk of developing AMD. Upon request the results will be reviewed with the patient. Role of Drusen in the progression of AMD. Tracking the progression of AMD. Our research team has developed an app that can be downloaded to your iPad or iPhone to monitor the progression of vision loss in patients with AMD, diabetic retinopathy, and other inherited eye diseases. The app, and our new Physician Portal, were approved by the Food and Drug Administration (FDA). The app can be downloaded with a prescription from your eye doctor. Information documented by the App, or Portal, can be sent to physician members of the care team for treatment adjustments. Obtaining clearer images of the retina. The retina (back layer of the eye), is measured using an electroretinogram, or ERG, for AMD patients. This test is similar to an EKG for the eye. Currently, we are working on a project that would allow even better images into the eye. Finding and analyzing flaws on the surface of the retina. We are studying the topography and thickness of the retina in older adults with AMD. To measure the topography of the retina, in the development of AMD, scientists are using advanced mathematical models, projection algorithms, and OCT retinal images. Researchers continue to work on advanced methods of measuring the eye. Natural history study for dry AMD. Working alongside 19 other sites around the world, we are following individuals with dry AMD for the next 5 years (2018-2022). 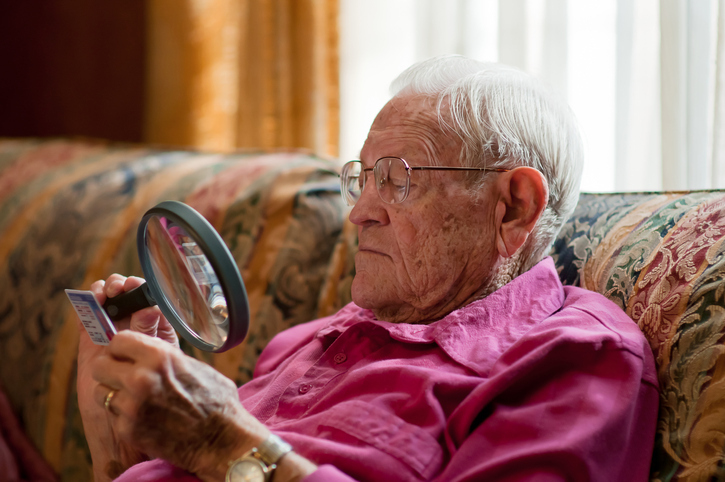 The purpose of this study is to understand how dry AMD develops and how it might be treated. This study is sponsored by the National Eye Institute (NEI), National Institutes of Health (NIH), Department of Health and Human Services, USA, and the Ryan Initiative for Macular Research (RIMR). * This study is currently seeking and enrolling participants. * Patients with early AMD, or adults over 55 years of age, interested in being a control subject for this study should contact Renee Denlar at rdenlar@retinafoundation.org, or Kim Cummings at kcummings@retinafoundation.org to learn more.